The holidays are a time for family, friends, food, and festivities. Most people will either attend or host a celebration where there will be lots of laughter and fun. For those suffering from hearing loss, the holidays can be a frustrating and lonely time. All the background noise can make it difficult for your hard of hearing mother to stay engaged in a conversation with her granddaughter. If you have ambient lighting that is too low, your dad may not be able to keep up with the dinner discussion because he cannot lip-read. Not being able to take part in conversations at a party can leave your loved one feeling sad, inadequate, and emotionally isolated. With a little planning, the holidays can still be a fun and enjoyable time for you or a family member with hearing loss. At Bravo Hearing Centre, we can help you take charge of your hearing and re-engage in this festive time of year. Seek out quiet areas for one-on-one conversations – No doubt about it, the kitchen is an exciting place to be as the turkey is cooking, sauce needs stirring, and dishes are clanking. The living room can be a fun spot for cheering your favourite sports team. However, it can be difficult for a person with hearing loss to keep track of all the conversations. If you are hosting a party, facilitate quiet areas for intimate discussions. If you are a guest, ask your conversation partner to move to a less noisy area to continue your chat. Sit in the best seat at the table – Background noise can make it even more difficult for listening to conversations. Sitting away from the kitchen can cut down the background noise. Also, being able to face the majority of the guests makes reading lips a little easier. Keep the room bright and well lit – Eating by candlelight can make the atmosphere cozy, but it makes lip-reading and picking up on visual cues harder. Keep the lights turned up and shade any glare coming from windows so faces can be seen. Find a buddy for your hearing-impaired loved one – Look for someone who is sensitive to the plight of your guest and willing to fill in any missed conversations. If you or your loved one is currently wearing hearing aids, come in to have them serviced and ensure they are working properly. The staff at Bravo Hearing Centre check microphones and receivers for signs of blockage, replace wax guards, mic guards, and perform any minor repairs or programming adjustments needed. It is suggested to come in a couple of weeks prior to holidays in case your hearing instrument needs to be sent out for servicing. It is also a good time to have your ear canals checked for any wax or cerumen build up and remove any excess or blockages that may be present. 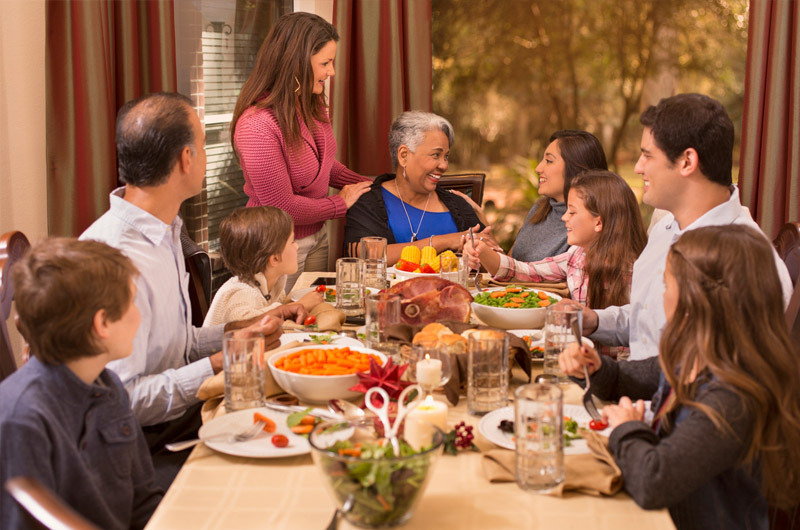 The holidays will serve as a great reminder for your annual hearing test. Hearing loss is progressive and your current hearing aids may need to be reprogrammed if your hearing has changed over the year. This will ensure that you will hear to the best of your ability. If you or your loved one has hearing loss but is not wearing hearing aids, this may be an appropriate time to address this issue. Give the gift of hearing this Christmas! Keep your loved one engaged through the holidays with a little preparation and sensitivity. There is no reason to be lonely in the middle of a crowd. 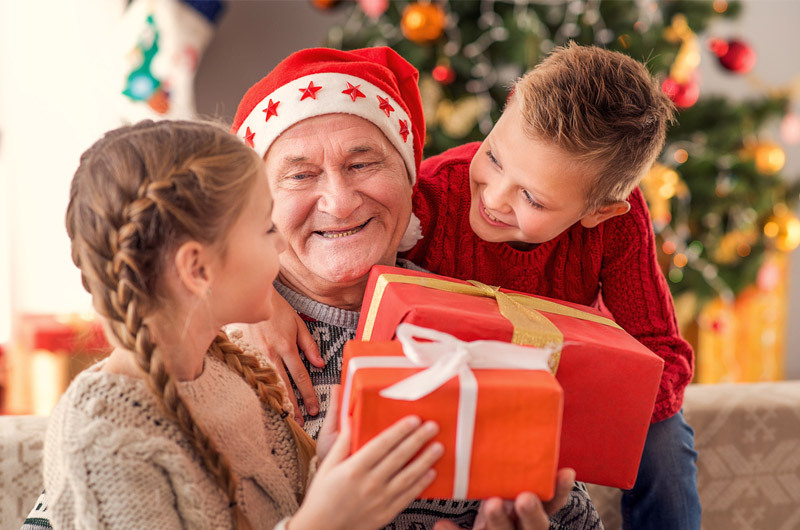 If you or a loved one are experiencing hearing loss, visit the Bravo Hearing Centre in Toronto to get the assistance you need to continue enjoying the holiday festivities. Call Bravo Hearing Centre at 647-694-4626“>647-694-4626 to schedule your hearing test and arrange a complimentary consultation at your earliest convenience. You can also book a free consultation online. The holidays are a time for family, friends, food, and festivities. Most people will either attend or host a celebration where there will be lots of laughter and fun.